Equiture are a successful specialist equestrian business based in Melton Mowbray. 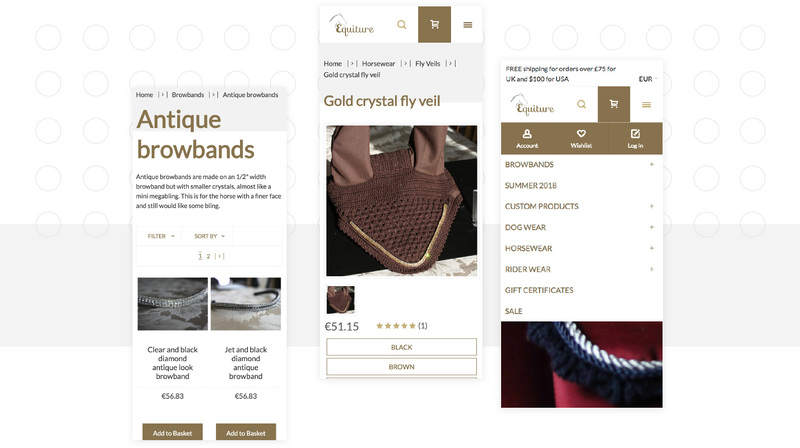 Selling horse riding gear, animal clothing and custom rider wear, Equiture aimed to optimise their marketplace place with a modern, mobile-friendly Magento website. Having come up against issues with their BigCommerce setup, Equiture were looking to salvage their customer and product information, as well as maintaining their SEO ranking throughout their migration to the Magento platform. 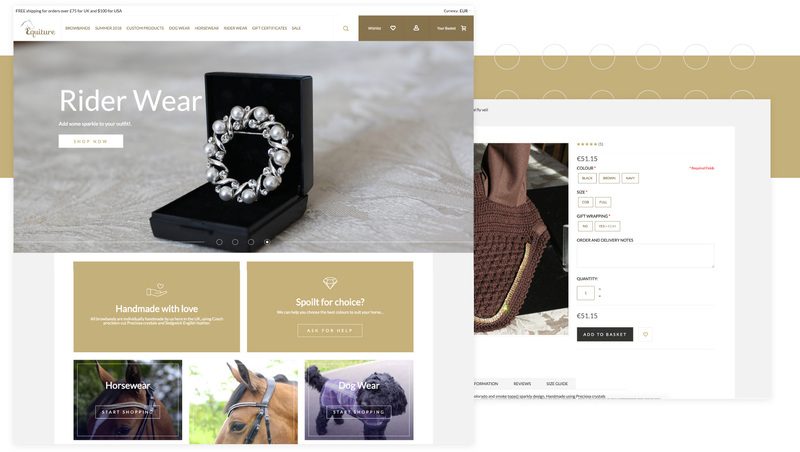 With an emphasis on showcasing the quality of the products on offer, large images with a clean, responsive design were a must for Equiture’s eCommerce offering. To make life easier for customers, magic42 implemented a GeoIP lookup that automatically adjusts the currency a customer sees based on what country they’re viewing the site from. This led to increased sales and allowed Equiture to price products differently based on region. In order to deliver the full suite of personalised products that Equiture provides, a bespoke custom options solution was required. Allowing easy selection of a variety of colours and fittings from within the product page, these are then able to be dealt with as any other order. While gift cards are typically an Enterprise Edition (now Magento Commerce) feature, magic42 were able to replicate this functionality within the Community Edition (now Open Source) – without the need for the hefty enterprise license fees.